Mobilink Foundation Torchbearers, Mobilink’s employee volunteer force, commemorated International Women’s Day by spending the day at the ‘Bilquis Edhi Women’s Hostel’. 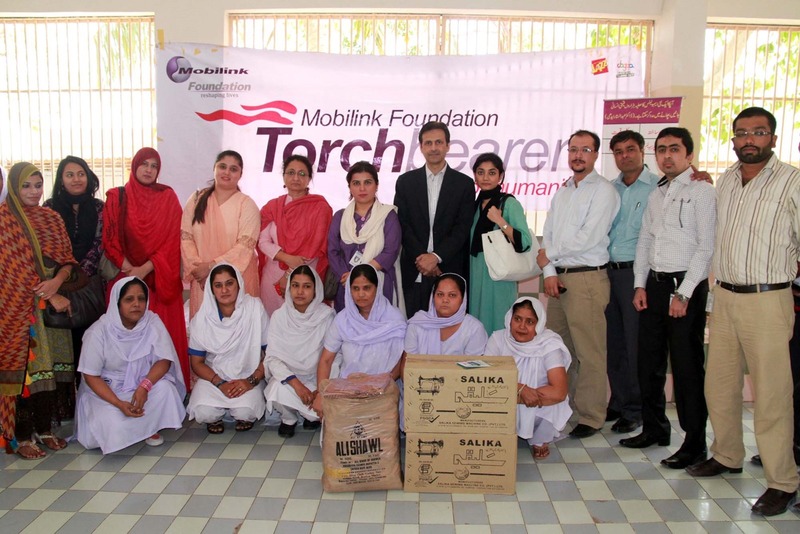 Mobilink Foundation’s torchbearers spent the day at the welfare hostel, providing emotional support to the women who are being provided shelter by the Edhi Foundation. The Torchbearers distributed various gifts amongst the women and also gifted sewing machines to the hostel as a means of providing a way of empowering and enabling the women to earn a sustainable income using their skills. The ‘Bilquis Edhi Women’s Hostel’ is one of eighteen (18) homes established by the Edhi Foundation across Pakistan. These homes provide shelter to over 8,500 people including orphaned children, the mentally and physically challenged, as well as homes for the destitute and victims of domestic violence. International Women’s Day is marked on 8 March every year across the world. The objective of the Day is to celebrate the economic, political and social achievements of women. The Day also aims to highlight the struggles of women worldwide as well as to promote women’s freedom from social oppression.